M.L. 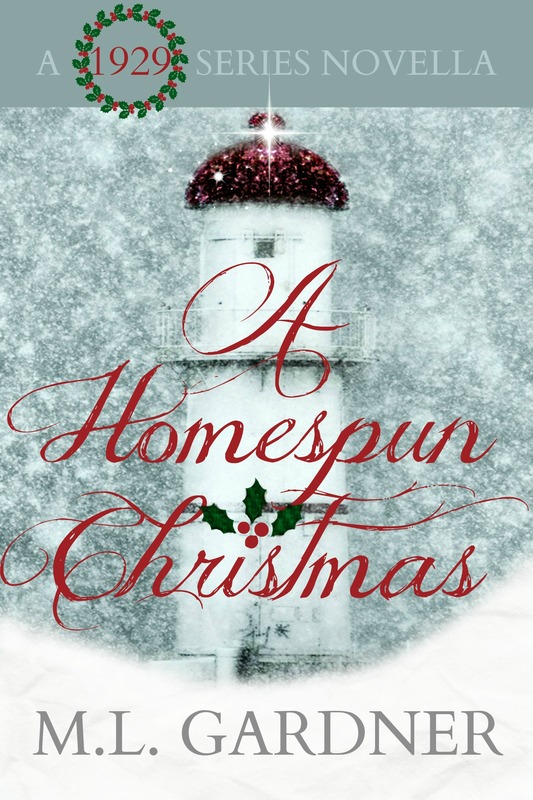 Gardner’s “A Homespun Christmas” is available for purchase! Click here, and bring the holidays to your Kindle. A Homespun Christmas drops in and visits the beloved characters from The 1929 Series in this post series novella. It’s Christmas 1933 and the hardest year yet of the grinding Depression. While all the couples agree to only do something small for the children, they secretly plot and plan to provide something for the one they love on Christmas morning. While not giving away any spoilers to the unreleased sixth book in the series, 1931 Caleb’s Err, A Homespun Christmas features three new characters to enjoy. Two family additions and Jean’s new friend. A surprise visit after Christmas dinner brings all the old cast together to celebrate family, friends and the season.